Let’s now go to the far end of the church behind the Papal Altar. 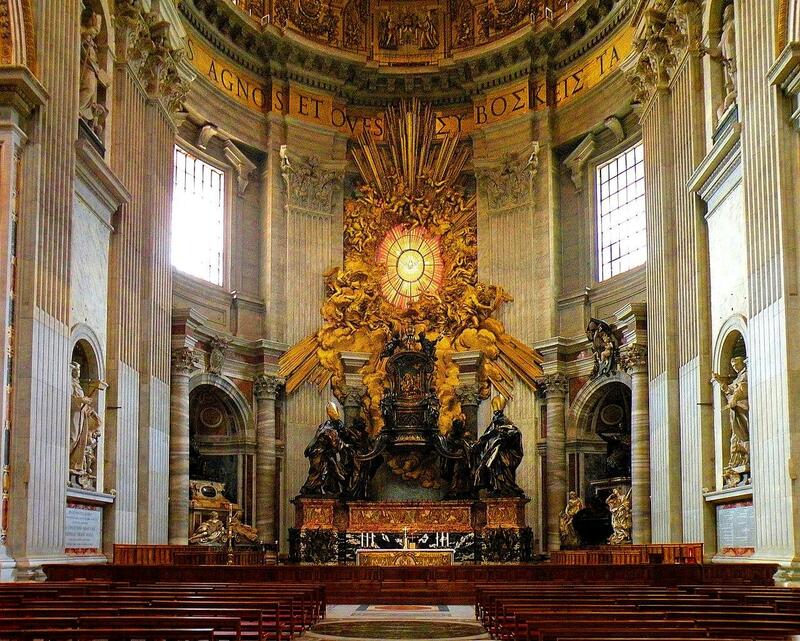 Here we’ll find another major work by Bernini, commissioned by Pope Alexander the 7th, the “Cathedra Petri” or Chair of Peter. Let’s take a look.